When I’m writing this post, I was craving for Korean tempura, or Koreans called it ‘Twigim’ or in korean ‘튀김‘. If Japan has tempura, Singapore has ‘Old Chang Kee’, Indonesia has gorengan, Korea has twigim. The concept is pretty the same; batter-dipped and deep fried. 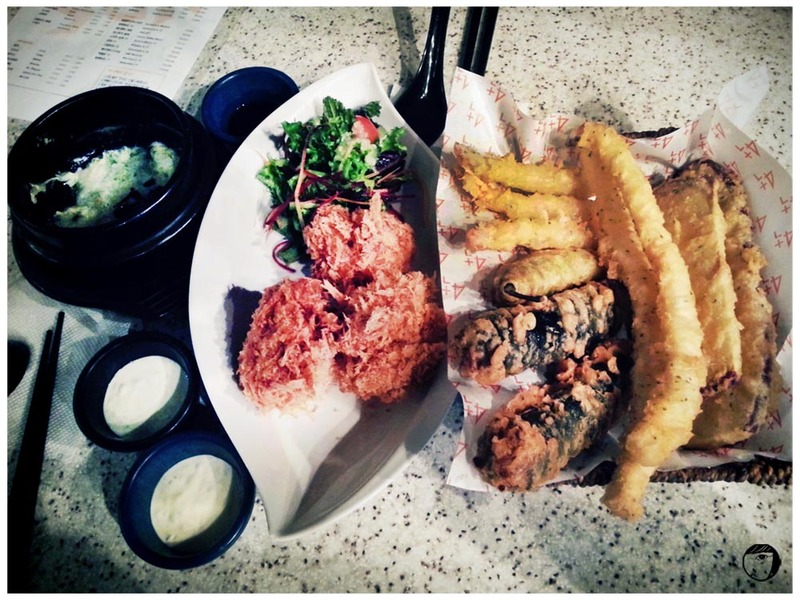 Twigim usually use various vegetables such as green peppers, sweet potato, seafood, or kimbap, battered and deep-fried. It is pretty easy to find twigim sold on the street food cart anywhere in Korea. But, not every food cart sell good twigim. 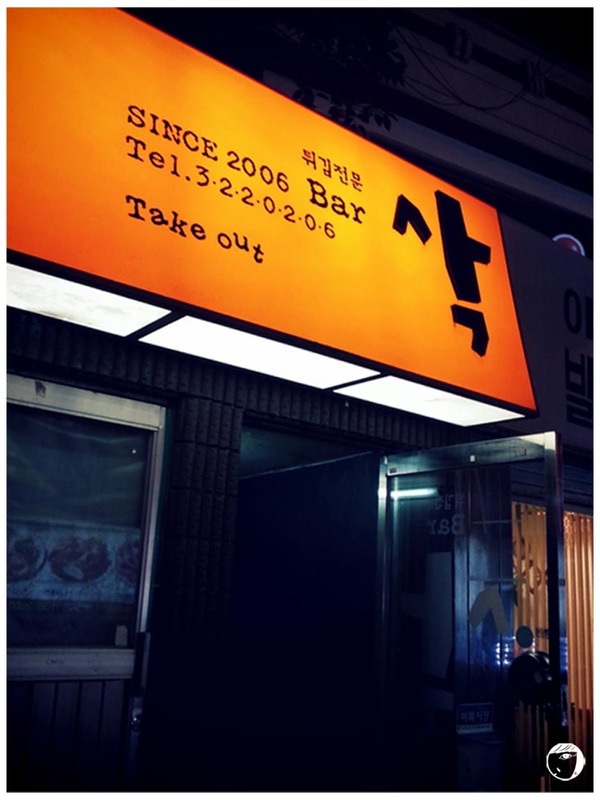 Sag is actually come out in Running Man, a famous Korean variety show (Episode 34 : Best restaurant around Hongdae). The shop itself is not a fancy restaurant and people who do not know how to read Korean hangul can be mistaken as a drinking bar. There are only small writings in hangul ‘튀김전문’ on the signage. If you look from outside, it is dark and does not seem like a restaurant at all. We have to enter in, there will be another door. I think there is a second floor too, but I always seat on the first floor so far. The staff will give us menu and small papers for ordering. 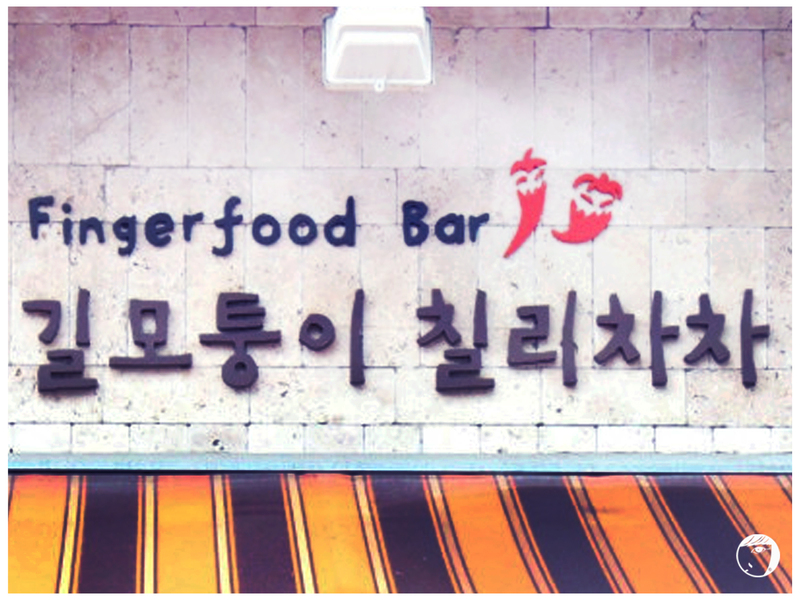 For foreigners who don’t understand Korean, the menus are written in English and Korean hangul. We ordered the cream croquette (the fried potato and cream round balls on the separate basket) and for the twigim : 고추 / green peppers stuffed with pork meat, 오징어 / squid, 고구마 / sweet potato, 오징어완자 /squid ball, 새우 / prawn, and 김말이 / laver roll or glass noodle wrapped in seaweed. They will serve tartar sauce and soy sauce for the twigim. Yummy!! 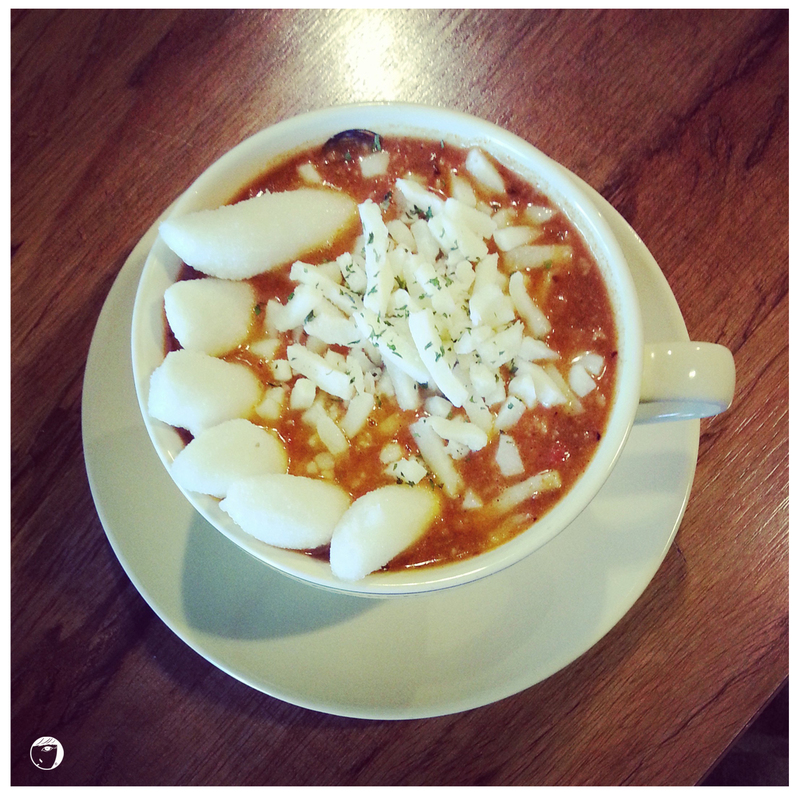 They have other food than fried too, such as spicy rice cake and seafood stew. But the twigim set is good enough for sharing because the size is considered bigger than normal twigim sold on the street. 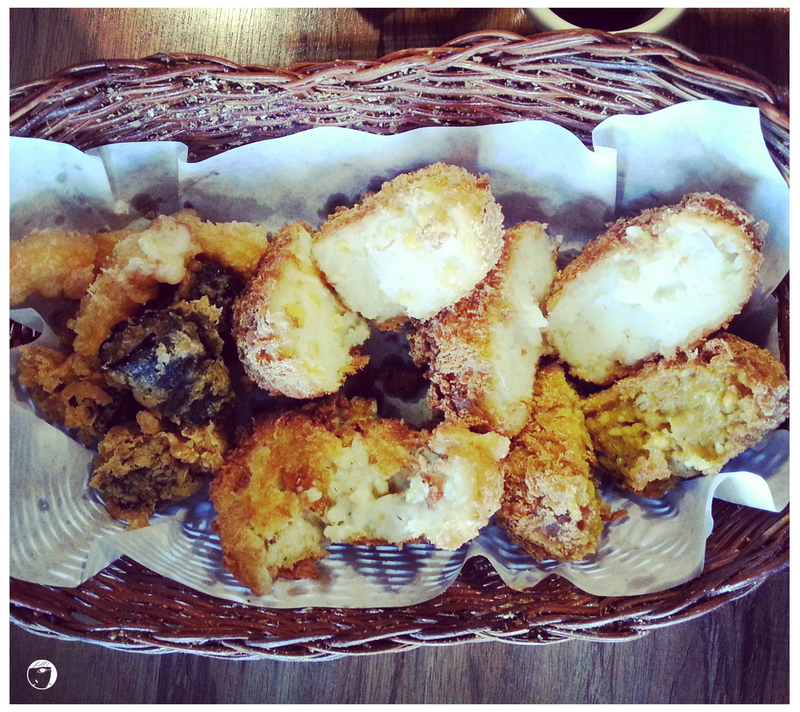 In my opinion, although the croquettes here is not bad, I still prefer the croquettes at Hapjeong Chilli Cha Cha. 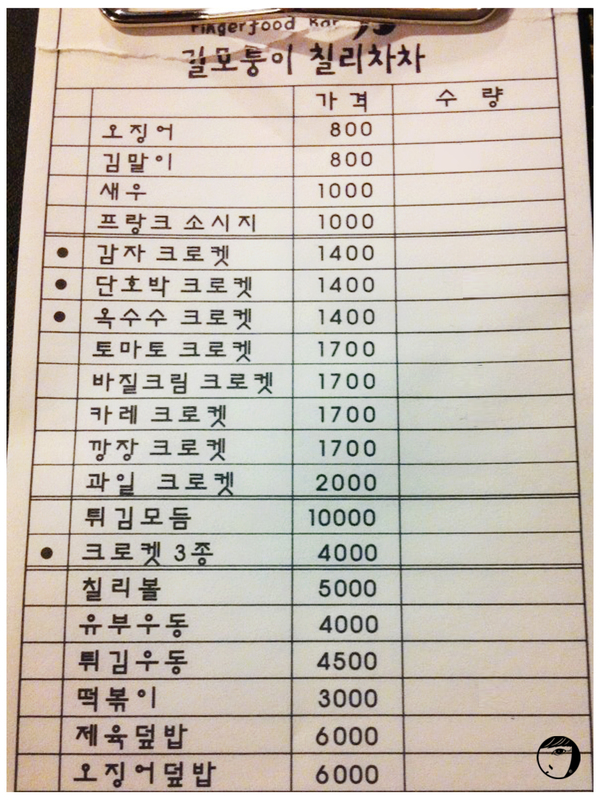 But the laver roll / 김말이 (kim-mar-i) and squid ball / 오징어완자 (ojingo wanja) are a must to order. -Take subway to Hongik University Station 홍대 입구 역 (Green line, line 2) and take exit 9. From the exit, you will see KFC on your left. Cross the street, walk pass the KT Olleh, Citibank, etc to the big junction. Cross the traffic light and turn left. – Walk a few meters ahead and turn right on the third alley right after Holika Holika (it is the biggest alley compared to other two). Keep walking to the end of the street and you will reach the junction. You see Etude House at the corner on your left. – From the junction, turn right and keep walking until you see the orange signage of Sag. The twigim bar is on the left side. I have been looking forward to try this known Hapjeong Croquette at Chilli Cha Cha. They are known for their special flavors of croquettes and I have read a number of good reviews about this fried food bar. Initially my friend and I planned to have lunch last Wednesday. However, we failed to check the opening hours, so we pushed the plan to Saturday. So please check their opening hours before hand if you are planning to go there. There are 2 ways to reach the place. You can go from Hapjeong Station or Sangsu Station. I chose to go from Sangsu Station since the walking distance is simpler and nearer. After walking less than 10 minutes, finally we saw the foodbar. We decided to try their Squid (오징오), Gim mari (김말이), Corn Croquette (옥수수 크로겟), Potato Croquette (감자 크로겟), Basil Cream Croquette (바질 크로겟), Kare Croquette (카레 크로겟) and not to forget, their Chilli Bowl (칠리볼)! They do have other kind of croquette such as Fruit, Pumpkin, Fermented Bean Croquette and Tomato Croquettes too. I personally prefer potato than pumpkin, so we did not order it. As for the tomato one, I read the review that it is only the mix of tomato pasta sauce with potato and barley. But to imagine the taste of potato mixed with fruits, err…. Maybe next time, haha…. Overall the croquettes are really good and I will go back there again for sure! – Sangsu Station (line 6) exit 1. Just go straight, you will pass by Standing Coffee on your right. Keep going straight until you see a car park area within cafes/restaurants. Turn right on the NEXT TURN after the car park junction and go straight and you will see Chilli Cha Cha just around the corner. -From Hapjeong Station (line 2) exit 6. Go straight and turn left on the 5th turn. You will see Chilli Cha Cha.